Doctor Engagement a Problem - Think Like A Talent Management Agency. Medeguy: Harpinder...that's a challenge, but not insurmountable. Doctor Engagement a Problem? Think Like A Talent Management Agency. Doctor engagement. Hospital management likens it to herding cats. When talking to hospitals about doctor engagement, I encourage them to think more like a talent management agency rather than a hospital. In a perfect world, doctors and administrators work together, like rowers, smoothly powering their boat towards a common goal. The reality, however, is very different. Doctors and management constantly wrestle for control over patients, power and purse. It’s impractical to think this dynamic will ever change, but there are ways to improve doctor engagement. Here are some suggestions that may work for your organization. Hospitals need to recognize that that they are running two businesses. The first is a medical facility. The second is a talent management agency. Yes, recruiting and retaining doctor talent is as important to hospitals as it is to a sports franchise, like Manchester United. Improving doctor engagement starts with recognizing that doctors are talent, like athletes and artists. They pull in the fans. They sell the tickets. Hospitals, I find, get stuck in the mode of using too much stick and not enough carrot to manage their doctors, because they think that if they spare the rod they’ll spoil the child. The problem with this doctor management philosophy is that all doctors are lumped together in a bucket labeled “Doctors” when in fact there a several buckets and each one is different (see below). In the movie Money Ball, the manager of the Oakland A’s baseball team goes against conventional wisdom and brings in a young number cruncher to help pick his team rather than relying on his seasoned scouts. The manager succeeds in building a winning team despite having less money by focusing on finding and nurturing the right players, not necessarily the best or the biggest name players. This new management approach changed the Oakland A’s and the game of professional baseball. As a marketer, I’ve found that cultivating a good doctor is often easier than managing a great doctor. The lesson here is that good data helps build great teams. Lee Chan Yow, the former CFO at Bumrungrad, is a master at this. The BCG Matrix is an excellent tool to help hospitals manage their doctor portfolio. The matrix was developed by the Boston Consulting Group to help companies evaluate their portfolio of businesses (and investment opportunities). The BCG matrix has two axis — market share and growth rate — and plots businesses into one of four categories: cash cows, stars, question marks and dogs. The matrix was not made for doctors per se, but it’s a great tool to help organizations get a picture of their doctor talent. Instead of using market share and growth rate, it’s easier to evaluate doctors by revenue contribution and volume. Cash cow doctors generate lots of revenue but have little capacity to grow patient volume. These doctors are at their peak; they’re maxed out. They generate lots of business, contribute to brand equity and have a loyal following, but they have no room to grow. Star doctors generate revenue AND have room to grow. These are the rising stars. They are still hungry and want to grow their brand and their business. Question mark doctors (fence sitters) generate revenue and have room to grow but underperform to their potential. Often these doctors are under the shadow of cash cow doctors or splitting time between two or more hospitals. Dogs (BCG’s term…not mine) are doctors that contribute little revenue and generate low volume. These doctors are simply not motivated for personal or professional reasons. Segmenting doctor talent into these buckets is a useful tool, because it forces management to look at their doctors through a different lens. It’s a great visual aid to see how many doctors are in each bucket and what is the relative size of each bucket. It’s not uncommon for hospitals to spend lots of management energy catering to the cash cows and the dogs when they should be focusing on developing stars and converting the fence sitters. Ultimately, doctors respond to doctor engagement programs that build their brand and business, and the best engagement programs are ones where doctors “opt-in”. Opt-in programs are democratic (anyone can join), and link effort to reward (you play, we pay). I find that the cash cow doctors are generally slow to engage (“I’d like to but I’m too busy”), star doctors quickly engage (“sounds great where do I sign up”), question mark doctors sometimes engage (“Ok, but…”), and dogs rarely engage (“ahhh, that’s too much trouble”). The key to effective opt-in programs is making them transparent and showing doctors win-win scenarios. You may find that the 80/20 rule still applies, but at least you have a better and more transparent way to identify and promote the 20. Too many hospitals avoid marketing their doctors because they don’t want the doctor brand to compete with the hospital brand. This “you win-I lose” mentality is counterproductive and often drives doctors to fund their own marketing and branding activities, which creates a vicious cycle. Smart hospitals develop ways to bring doctors into the hospital brand and by doing so strengthen and differentiate their brand. Great examples of this are Mayo, Cleveland Clinic and Hopkins. 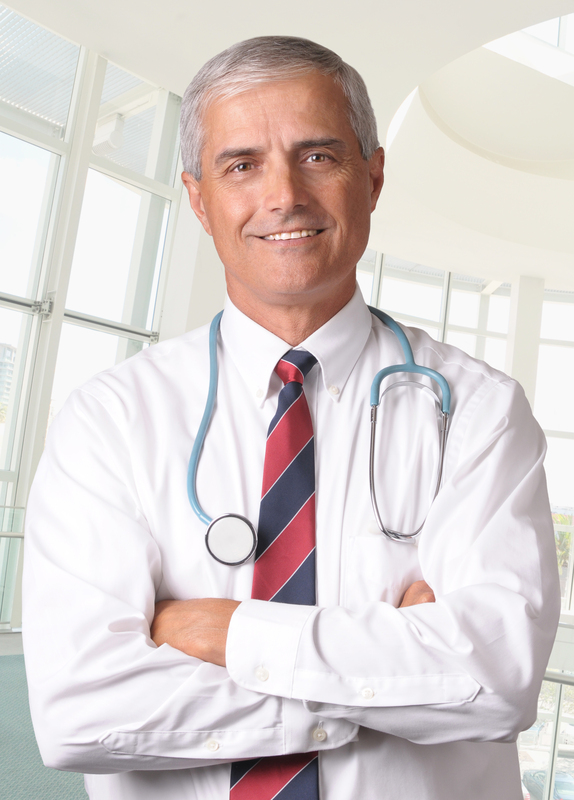 Getting your doctors to “play within your brand” is just another opt-in program that works. Medeguy disclaimer: This is a personal blog. Any views or opinions represented in this blog are personal and belong solely to the blog owner and do not represent those of people, institutions or organizations that the owner may or may not be associated with in professional or personal capacity, unless explicitly stated. Any views or opinions are not intended to malign any religion, ethnic group, club, organization, company, or individual. Author: Medeguy Ruben Toral is an American healthcare marketing expert and medical tourism pioneer. Medeguy.com investigates, explores and discusses how globalization, consumerism and the internet are transforming healthcare from a locally delivered to a globally delivered service. Medeguy.com is the blog site of Ruben Toral, an American healthcare marketing expert and medical tourism pioneer. Medeguy.com investigates, explores and discusses how globalization, consumerism and the internet are transforming healthcare from a locally delivered to a globally delivered service. © Copyright 2019 — Ruben Toral, aka Medeguy. All Rights Reserved.